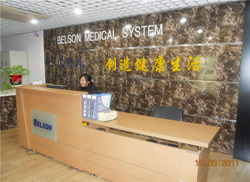 Belson Medical System Co., Ltd is a joint venture company of American BELL Co., Ltd. and Chinese Hengsheng Co., Ltd. We are a high-tech enterprise that specializes in the development and manufacture of ultrasound scanners. We offer a variety of manufacture medical equipment and health care devices, such as ultrasound scanner, color doppler ultrasound scanner, self-exam colposcope, digital blood pressure monitor, sphygmomanometer, stethoscope, diagnostic penlight, neurological hammer, fiber optic otoscope, and ophthalmoscope ect. We possess 10 years’ experience of producing, selling and serving. Our products also passed CE certification. Our company’s products have been exported to Egypt, Syria, Afghan, Indonesia, Lebanon, Nigeria, Yemen, Peru, Iraq, Pakistan, USA, Canada, and Mexico. Belson has facilities and equipment to manufacture and test probes of various specifications. Equipped with a whole set of production lines and perfect systems of measurement, detection and quality control, we are also able to produce multifold high-density linear probes, convex probes and relevant ultrasonic scanners. Belson always carries out the principle of "customers first and services best". We take customers' requirements as our tenet of developing new products and customers' satisfaction as our service goal. 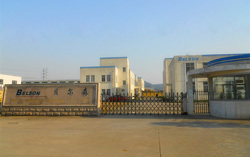 We expect to manufacture reliable products through our joint efforts and also make life healthier for you. Warranty: 12 months warranty since exportation date. 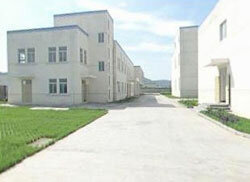 If you need medical system, please contact us and we hope you can visit our factories by yourselves. You can by T/T, Western Union, Credit Card, and Paypal to complete the transaction.